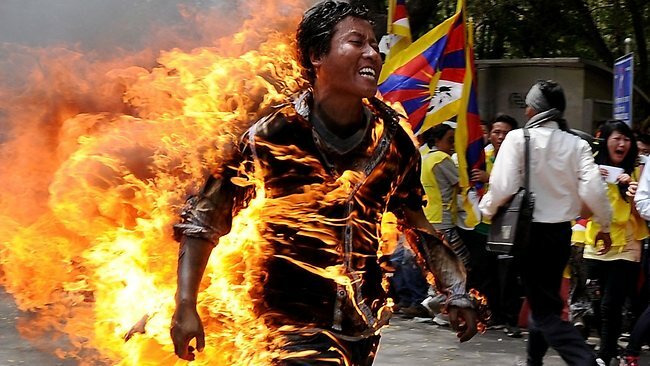 Nearly 100 Tibetan monks, nuns and lay people have set themselves on fire since 2009. All of them calling for Beijing to allow greater religious freedom and the return from exile of the Tibetan spiritual leader, the Dalai Lama. None of them said anything bad about China. Incapable of dealing with these protests, Chinese authorities respond by sending in security forces to seal off areas and prevent information from getting out. Communities and their leaders, as well as the families of self-immolators are punished through the cutting of financial support. Communal prayer services for the deceased and their families have been forbidden. However, those efforts did not stop or slow the protests.